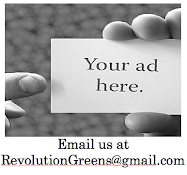 Revolution Greens: Happy Earth Day Everyone! Disney will plant a tree for every ticket purchased until 4/28/2009. Buy a ticket and enjoy.